Dress up the town with these high quality, useful luggage tag wedding favors that your wedding guests will love to receive! They will enjoy using these for many years to come on their suitcases! Everytime they get out their luggage, they'll be reminded of your beautiful wedding! 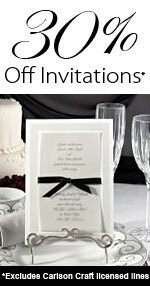 Read Wedding Memories and Keepsakes Article.